As an independent college radio station, 1190 is proud to offer a wide variety of programming for our dedicated listeners. Our most experienced student DJs and community members have the opportunity to apply for specialty shows, which focus on specific genres or themes more heavily than our automated rotation. Specialty programming generally airs after 5pm on weekdays and all day over the weekends. Check out show posters and descriptions of our specialty programs below, and click through to browse their playlists! Our Music Director Max Askari hosts from 1:00 to 2:00 PM on Mondays. Tune in to hear some quality Max-core, which will probably include some Duster, Modest Mouse, Spirit of the Beehive, and a variety of slowcore hits. Our bi-weekly program covering news on campus, in Boulder, and beyond. Hosted by News Director Lucy Haggard, the show airs every Monday and Wednesday from 6:00 to 7:00 PM. Hosted by Luke Hunter James-Erickson, airs on Mondays from 9:00 to 10:00 PM. The Jelly and the Jam features live music from ‘jam’ style bands like Phish, the Grateful Dead, and others. Each week will feature a different concert along with context and commentary from me, Chris Neureiter! Tuesdays 6:00 to 7:00 PM. party with me punker !!! Hosted by the formidable Bodhi DJ Bodhi, this show brings all the best punk classics and deep-cuts that the vinyl format has to offer. Tune in Wednesdays from 5:00 to 6:00 PM. Flavor of the Week brings you a variety of different tastes anywhere from dream-poppy cotton candy to a savory flavor of Punk. The tastes of the week are based on the sensory experiences of someone with synesthesia. Hosted by Olivia Booth on Wednesdays from 10:00 to 11:00 PM. Hosted by Arlo White, Hypnotic Turtle Radio is a weekly mind-meld of the beautiful and the bizarre, and features exclusive live mixes from Diablo Montalban, special guests, live performances and one of a kind collaborations! Diablo Montalban mixes multiple sound sources and infinite music genres with spoken word, news clips and/or movie dialogue to create something unique for the moment, never to be performed the same way again. Hypnotic Turtle radio is Radio Art! Tune in on Thursday nights from 9:00 to 11:00 PM. Hosted by Alan Tett, listen on Fridays from 3:00 to 4:00 PM for this show featuring side projects and collaborations associated with your favorite heavy music bands. Hosted by Ethan Robinson, this show has a mild identity disorder. Expect oldies, folkies, alternative, post-punk, and anything in between. Sonic treatment guaranteed every Friday from 8:00 to 9:00 PM. Queers and Coffee is a weekly talk show discussing LGBTQ issues in the Boulder community and beyond. Listen from 10:00 to 11:00 PM on Friday nights. Hosted by Anna Haynes, this show walks through the discography of a single artist each week— but through their demos, bonus tracks, live recordings, and other overlooked tracks only. No singles; no chart toppers; no hits. Tune in Sundays from 1:00 to 2:00 PM. Hosted by Sierra Fournier, this show focuses on songs that express nighttime colors and textures. Tune in on Sundays from 9:00 to 10:00 PM. 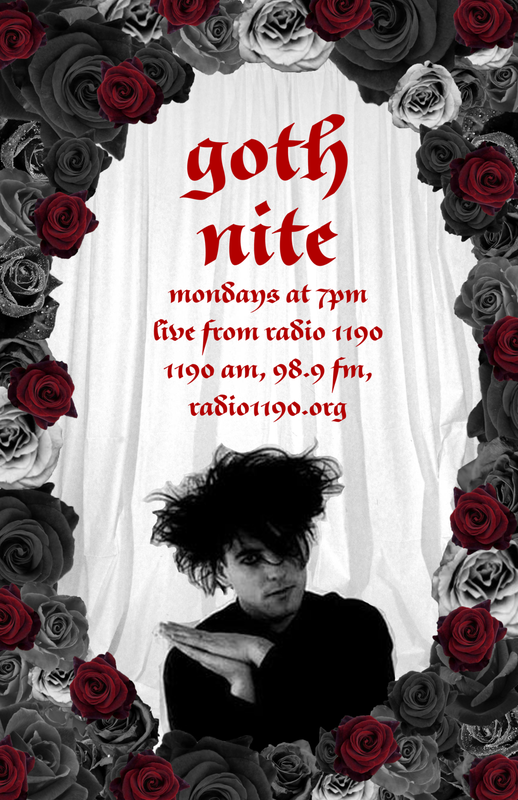 1190’s Social Media Director Hannah Morrison religiously plays something by The Cure every week alongside other solid darkwave, coldwave, and gothic rock hits. Tune in on Mondays from 7:00 to 8:00 PM. Hosted by Claudia Grossi on Mondays from 2:00 to 3:00 PM, this show is mostly focused on funk, soul, and a bit of jazz. Listen if you’re a sucker for a groovy bassline and want to dance! Hosted by Reed Merrill, airs on Mondays from 10:00 to 11:00 PM. Hosted by our Engineer Zack Marshall, every week will dive into the catalogue of a different, independent record/tape label. Outside of the music, listen to learn the label’s story, what kind of music they tend to release, and more fun tidbits about the label. Listen Tuesdays 4:00 to 5:00 PM. Hosted by Lydia Schram: For Chef's Special, each week I pick a genre or mood and cook up a playlist of my favorite songs that fit the menu. Served with a side of fries. Listen on Tuesdays from 7:00 to 8:00 PM. Hear all of your favorite 2000s bops on Y2k play, hosted by Parisa Dayani! It’s a time capsule of our favorite decade: you will hear Stereolab, Britney Spears, and everything in between! Tune in on Tuesdays from 10:00 to 11:00 PM. Our Wednesday night sports talk show hosted by Jack Stern and Chase Howell. Tune in from 7:00 to 8:00 PM for the latest sports news. Tune in for a late night radio rave hosted by members of CU’s Rave Club every Wednesday from 9:00 to 10:00 PM. Alejandro Recalde brings you all the Latin tunes your mind and body desire. Presenting the champions of Latin sound that will get you movin and groovin con sabor, New Wave Latin Lovers airs every Thursday from 4:00 to 5:00 PM. 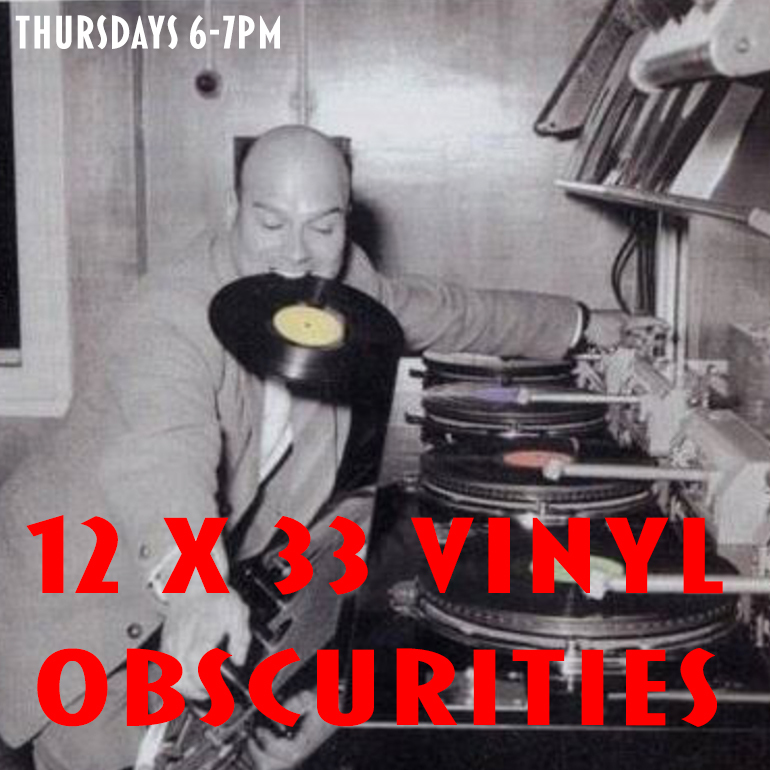 12x33 is Radio 1190's all-vinyl analog oasis, focusing on psych, folk, blues, urban soul, avant garde & groove jazz from the golden age of vinyl-- 1964-1974. Listen every Thursday from 6:00 to 7:00 PM. 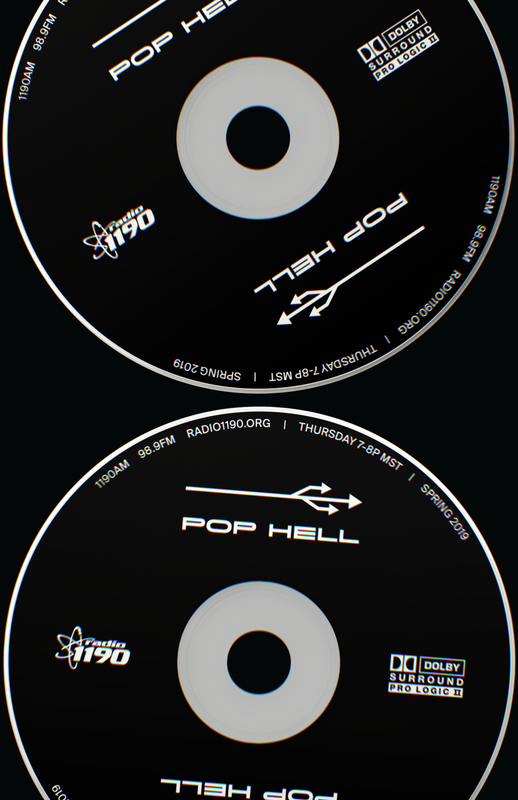 DJ Nick Cai brings you all the latest in fresh pop music that strays from the beaten track. Tune in on Thursdays from 7:00 to 8:00 PM. Tune in from 7:00 to 8:00 PM every Friday for this exploration of melodic electronic music and its roots hosted by Chance Martinez. Climbtalk is 1190’s resident talk show all about rock climbing! Tune in from 9:00 to 10:00 PM every Friday. Start your lazy Sunday off right with some brunch and some handpicked tunes by DJ Victor Escala. Listen from 11:00 AM to 12:00 PM every week. 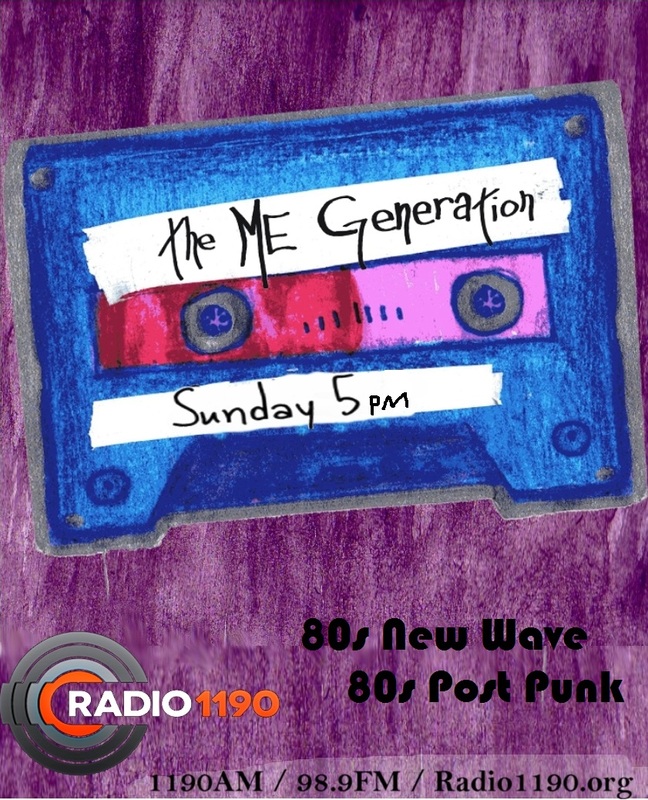 Tune in for the best of the 80s spanning genres from new wave to post punk. Hosted by Ben Shatz, the show airs every Sunday from 5:00 to 6:00 PM. Hosted by Hayley Tomkiewicz, this show is a modern, anthropological analysis of online music culture & genre theory, with each weekly episode dedicated to dissecting sub-sub-categories of music people on the internet fight about, such as Gravewave, French Ye Ye, Scandinavian Space Disco, Nintendocore, or Shibuya-kei. Tune in every Sunday from 7:00 to 8:00 PM if you have a sense of humor and want to learn about a music scene you didn't think existed. Production Director Owen Zoll is coming at your ears live with the freshest sounds the world of electronic music has to offer! Mondays 5:00 to 6:00 PM. 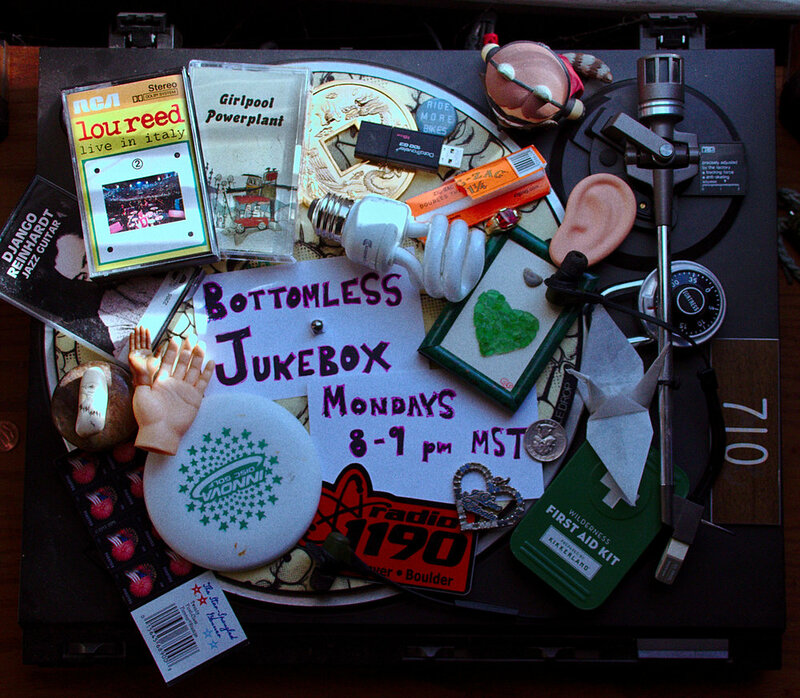 Hosted by Evan James, Bottomless Jukebox is a show where we listen to music together. Sometimes there are themes, and sometimes there aren't. Tune in to hear anything I feel like playing that day, from Django Reinhardt to Bob Dylan, Mitski to Madlib and everything in between. Tune in on Mondays from 8:00 to 9:00 PM. Hosted by Lucas Larson, airs on Mondays from 11:00 PM to midnight. Hosted by Dan Le, this sick show explores the wide world of video game music every Tuesday from 5:00 to 6:00 PM. Host Genevieve Waller brings us ballads, story songs, lots of synths, female-fronted bands, disco, goth, psychedelia, new wave, and LGBTQ+ artists, themes, and anthems...all during the hour when days turns into night. Tune in Tuesdays from 8:00 to 9:00 PM. 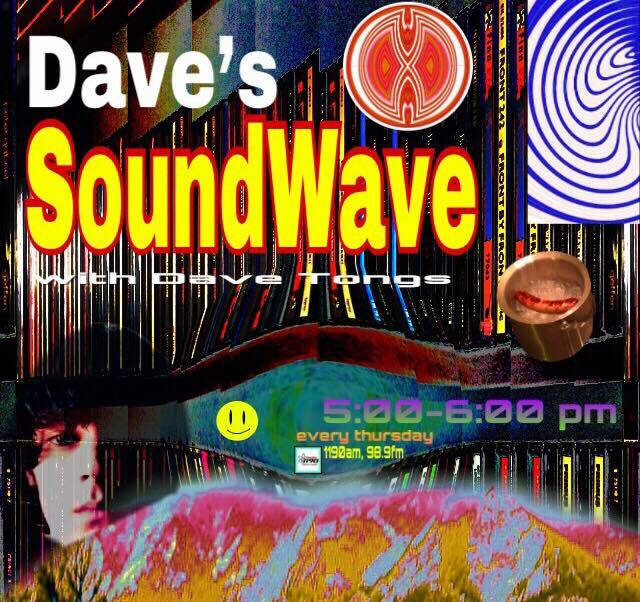 Hosted by Campbell Davitt, this show features some groovy tunes and fills the slot from 9:00 to 10:00 PM on Tuesday nights. JUNCTURES. A particular point in events or time, a place where things join. It is difficult to say at this juncture whether this upturn can be sustained. The plane crashed at the juncture of two mountains. Tune in on Wednesdays from 4:00 to 5:00 PM with Jensen Keller. Every Wednesday from 8:00 to 9:00 PM, expect a two-to-six-super-mix of moog, synth, electro boogie, space disco, and kitsch. Tunes are separated by facts about the connections between outer space and music, as well as other pieces of commentary. DJ Dylan Comiskey brings dancin’ songs and slappin’ tongs to make you Awaken and Arise. Expect 90s Euro rave, deep disco, vintage country, exotica, second-wave industrial, 50s/60s pop, and a bit of everything else. Yesboa! Listen Thursdays from 5:00 to 6:00 PM. Follow My Lead is hosted by 1190 DJs Ashley and Noah. Each week they alternate making half of a playlist, then send it to the other DJ to finish. They meet up on air and see if the other DJ was able to follow the lead on the sound they were going for! During their show they play the full playlist and discuss whether or not the other DJ understood the theme of the set and picked songs that were fitting. Listen on Thursdays from 8:00 to 9:00 PM. 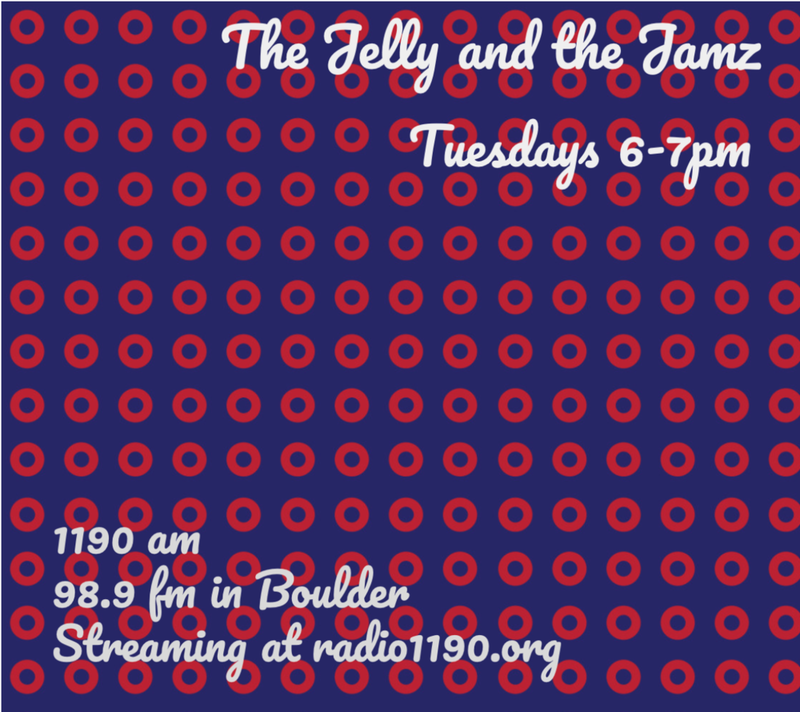 Hosted by Jeff Josephs, Shakedown features all local music for the first hour each week followed by an exclusive live performance and interview with a Denver/Boulder area band! Tune in 4:00 to 6:00 PM every Friday. A great new sports talk show and podcast hosted by Sam Cast and Garrett Weaver. The show covers all things sports from CU to the pros to the latest drama across all leagues. Follow @bnchwarmer on twitter for more, and listen from 6:00 to 7:00 PM every Friday and Sunday. Krewe de Louisianne is dedicated to the musical gumbo of artists from, and tunes about, Louisiana. It features Cajun, zydeco, blues, R&B, jazz, rock, funk, brass band, soul, gospel, rockabilly, and swamp pop. Saturdays from 10:00 to 11:00 AM. Hosted by Jon Mills, airs from 7:00 to 8:00 PM on Saturdays. This show is named in honor of Frank Zappa's legendary experimental record, but there is nothing hellish about the program. Every Sunday at 2:00 PM, tune in for a relaxing mix of Free, Cool Blue, Soul Jazz, and Afrofuturist masterpieces, as well as a few other obscurities. This hour promises to please! 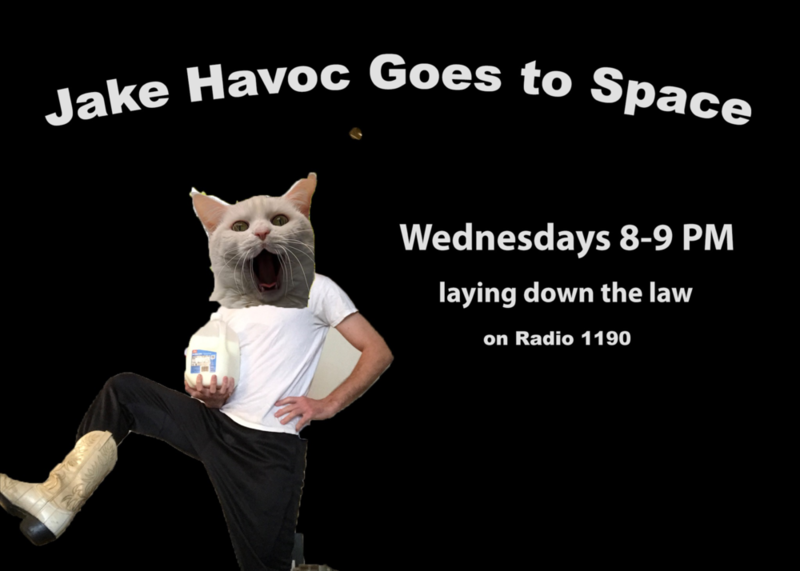 Every Sunday night from 8:00 to 9:00 PM tune in for outer space and sci-flavored classic rock curated by Jack Hernstadt. Expect deep cuts of prog rock, psych rock, disco, and more! This rave-centered show hosted by Grant Hamilton mixes a variety of soundcloud beats each week. Listen from 11:00 PM to midnight every Sunday.